Its homegrown Canopy system is an example of the type of platform that value-based models of the future will need to deliver evidence-based care in a complex care ecosystem. With each patient rehospitalization, thousands of dollars are spent on additional care and the risk of patients getting sicker or suffering preventable setbacks grows. There is high-quality, peer-reviewed evidence for what works for these high-risk patients, but not many physician practices are able to get it right. This isn't because it's impossible, but because it requires precision teamwork and a choreographed response to deliver what patients need. An analysis of reports from MEDLINE, EMBASE, Web of Science and the Cochrane Library showed that patients require many interventions, not just one, during their transitions from hospital to home in order to have the best chance of avoiding readmission. 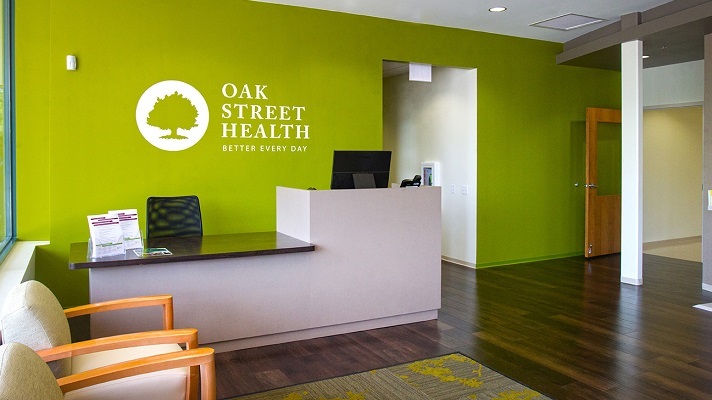 Chicago-based Oak Street Health says its core objective is to keep patients happy, healthy and out of the hospital. That, of course, means preventing avoidable hospitalizations – and especially avoidable readmissions. To help toward that goal, Oak Street Health developed a proprietary inpatient review application within its application suite called Canopy to prevent rehospitalization for patients. Canopy integrates 1,300 data fields across several platforms, including EHR, inbound/outbound calls, CMS, CRM, utilization management and care management. It also integrates with external data platforms like eligibility, revenue, claims, Rx and provider charts to track patients from hospital to home and better personalize their post-hospitalization care. The Inpatient Review app in its Canopy suite guides teams through evidence-based interventions that consensus shows improves outcomes. This is the foundation of Oak Street Health's transitions-in-care process that provides patients the highest quality of care from hospital to home and every facility in between, the provider organization stated. In this process, the responsibilities of transition nurses include, but aren't limited to: updating the Inpatient Review app daily based on discussions with the patient, hospital staff and/or facility EHR; maintaining up-to-date discharge planning information; scheduling post-discharge visits; requesting discharge summaries from facility and completing post-discharge calls; driving referrals to house call nurse practitioner if appropriate; and facilitating medication therapy management by pharmacist. The Inpatient Review app serves as a virtual roundtable where care teams meet to discuss their highest risk patients. It's the venue for communication and includes all the relevant information to deliver evidence-based support. There are many health IT vendors in the market that offer decision support systems. These include Automated Clinical Guidelines, Chadis, Information Builders, LogicNets, MCG, medCPU, National Decision Support Company, Pepid, PointRight, Semedy AG, Stanson Health, Talis Clinical and Wolters Kluwer. "Our approach is innovative because most primary care physicians don't have the processes to pull and manage this data, and therefore aren't able to meaningfully intervene in the care of their patients," said Drew Crenshaw, senior vice president of population health at Oak Street Health. "Even primary care physicians in a closed-loop hospital system where the inpatient and outpatient setting share an electronic health records system don't have such sophisticated tools that are designed to help the provider make thoughtful decisions," Crenshaw added. However, by developing Canopy and the Inpatient Review app, Oak Street Health is able to deliver evidence-based care at scale that results in measurably better outcomes, he added. The fixed process is a closed loop made of four stages. First, the system measures patient data. The census pulls from a variety of sources, such as plan lists or authorization feeds, and local teams can manually add admissions as they occur. "Our approach is innovative because most primary care physicians don't have the processes to pull and manage this data, and therefore aren't able to meaningfully intervene in the care of their patients." Second, the system analyzes the data and leverages insights from the care team. The data is scrubbed and sorted to maintain consistent fields for diagnosis, site and length of stay. From there, alerts are programmed for patients with cases that are high-risk or out of network. Third, the system communicates with the care team and/or the patient. The app automatically notifies the team every day of new census and status. Team members can manually add or revise information to ensure data is accurate and comprehensive. And fourth, staff act on all this rich information. The care team logs into Canopy every day to view their patients' profiles and monitor their health updates. From there, users can work with other team members to better personalize post-hospitalization experiences and care. "Once Canopy was developed, we rapidly scaled it across all Oak Street Health centers in three states in one month," Crenshaw said. "We were able to operate at this speed with our common single-sign-on platform that allows teams to quickly incorporate new tools from the platform into their daily routines." Today, Canopy is a tool that's used throughout all of Oak Street Health's 40 centers. The next iteration of the tool will include evidence-based risk stratification tools to identify patients who need additional scrutiny and support, as they are at highest risk for readmission. Since the development and launch of the Inpatient Review app, Oak Street Health has seen a 26 percent reduction in risk-adjusted rehospitalization, Crenshaw reported. This illustrates the integral role technology plays in supporting the consistent delivery of evidence-based care to complex, chronically ill patients in multiple care settings, he added. "All Oak Street Health centers have access to the Canopy Inpatient Review app, and more than 100 employees across the organization regularly use it to coordinate care for admitted patients," he said. "On average, employees log into the tool 3.3 times a day, and 85 percent of employees would recommend it to a colleague. The app captures and tracks 22 percent more hospitalization events than what is reported through payer census files." Canopy ensures Oak Street Health patients are getting the patient-centered, evidence-based care they require, regardless of where they go for inpatient services or which Oak Street Health team member they spoke with last, Crenshaw explained. "Canopy is an example of the type of platform that value-based models of the future will need to deliver evidence-based care in a complex care ecosystem," he said. "It integrates all available data and simplifies the process for care teams to keep patients happy, healthy and out of the hospital."